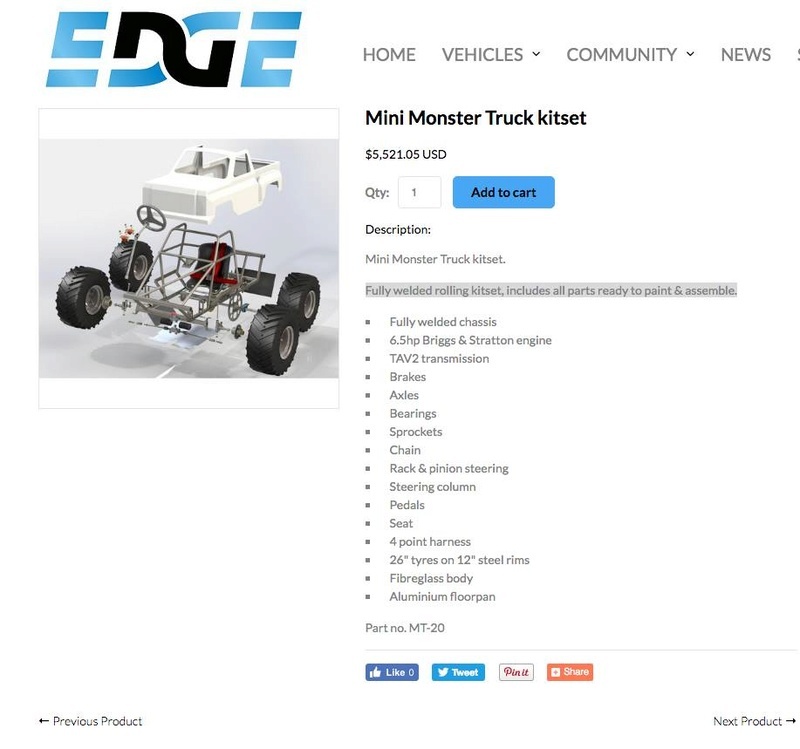 My personal review and comments on the: Mini Monster Truck Plans from The Edge Products. 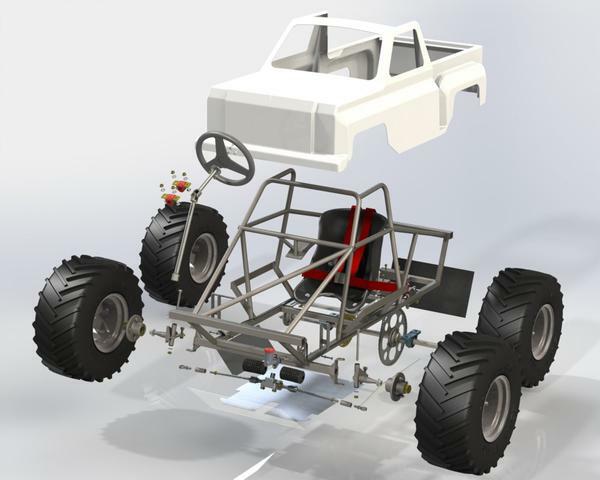 Mini Monster Truck Plans from The Edge Products. when it come to Mini Monster Truck Plans, I've haven't seen any actual plans out there for them. of the plans to look over and write this review of them. as well as other numerous go karts and buggy plans. and might just confuse the heck out of someone who has never built one before. creating the gas and brake pedals and much more. The plans consist of 85 pages, in a PDF format, and is available for immediate download from eziplans. These are the only "actual" Mini Monster Truck plans i have seen so far and was impressed by the details in them. until i looked them over again and again and started realize how it went together. If your looking to create a Mini Monster Truck from scratch, these plans might just be for you. The Mini Monster Truck is perfect for junior drivers looking for off-road thrills in a “looks the part”package. the driver along with a 4-point safety harness. Steering is easy with the rack and pinion and a powerful hydraulic disk brake providing ample stopping power. As simple as it is tough, the Mini Monster Truck is a great build project for the family or school fabrication class. off-road adventure. And there’s nothing like that classic monster truck look! person over 140cm (4’7”) tall. This ensures the roll cage provides protection for the driver in the event of a rollover. sell for this build, well it's gonna cost you a bit of money to have it sent to the US. the parts they need locally and creating one of these Mini Monster Trucks for their child. would be $2664.24 to $3044.84 US dollars. which will be on eziplans. As of March 26, 2017. The Mini Monster Truck Kits are available for shipping. If you have purchased these plans, please post your experience and let others know how you made out with them.